The hardest part is to make the first step, open the first trade, overcome uncertainty and fear. Each trader has ups and downs, good days and black Tuesdays. Soulless machines, trading robots do not feel the fear or fatigue. But they need to earn credibility. 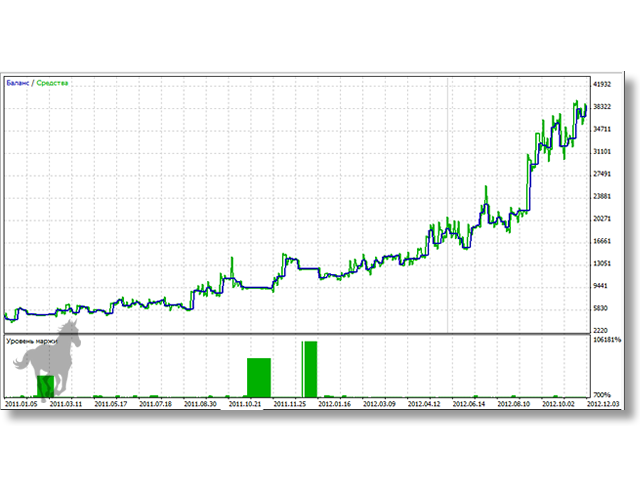 Pony Trader trades only on one currency pair - EURUSD, and only on one time frame - H1. It makes it promptly, taking care of the trading account. Slowly but surely it pulls up your deposit. Following the trading rules formulated by the author of a popular book "Playing by the Numbers to Make Millions" by Ryan Jones, Pony Trader follows the trend fixing profit and preventing increase of losses. but the close price is higher than the close price X+Y bars ago. but the close price is lower than the close price X+Y bars ago. Positions are closed either fixing profit or avoiding losses or reversed in case an opposite signal appears. 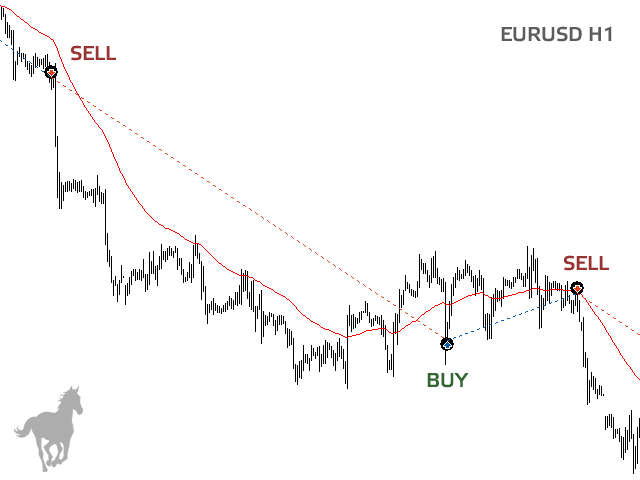 Pony Trader is optimized for trading on the currency pair EURUSD with H1 time frame. 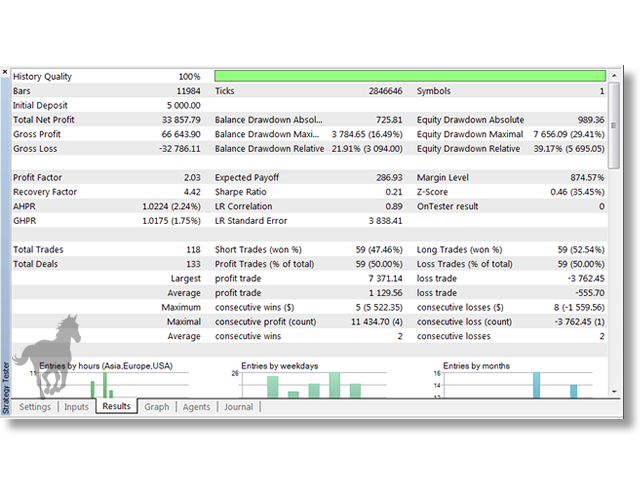 You can choose risk level by indicating a comfortable value (Percent parameter) for the money management system. 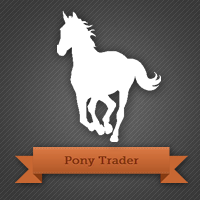 You can use Pony Trader absolutely free without any restrictions.